What is AceThinker Video Master ? AceThinker Video Master is an all-inclusive multimedia platform for Mac and Windows users. This is a comprehensive program that functions as a video converter, video editor, and video downloader. It is lightweight, ultra-fast, and dependable, and offers a host of tools and features that let users edit, convert, and play videos and audios virtually. AceThinker Video Master allows users to add images, shapes, and texts to videos. It even helps them download their favorite videos and record them on a PC screen in a single click. If you are looking for an easy and advanced multimedia solution, then AceThinker Video Master is the best way to go. 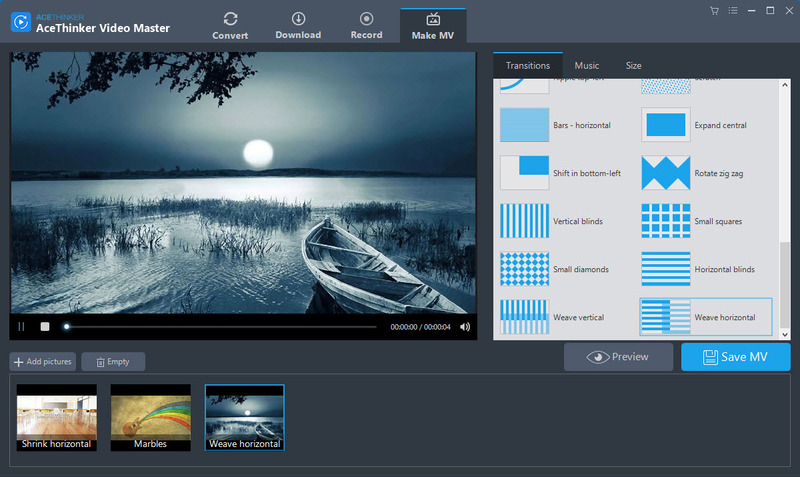 The main benefits of AceThinker Video Master are easy video editing, converting, and downloading, support for HD formats, and built-in screen recorder. As what its name implies, the software is a reliable video master that delivers tons of tools and features for quality outputs. AceThinker Video Master is mainly developed to perform different video tasks such as screen recording, video editing, casting, video converting, video downloading, and movie creation. The popular editing features such as trimming, effect application, rotating, clips, editing subtitles, cropping, and watermarking are available on the software to make it easy for you to edit your videos and create a masterpiece without an issue. AceThinker Video Master helps you work on all popular video formats such as AVI, MPEG, 3GP, and other High Definition formats without losing quality. Its video downloader tab allows you to download different videos from a variety of sources, including social media and video blogging platforms. It even has a batch download option that lets you process up to a dozen videos at the same time. What’s more, this video downloader also functions as a video uploader. With AceThinker Video Master, you don’t need to download other screen-capturing apps to record a video. It has a built-in screen recorder that lets you record videos straight from your PC screen. It even allows you to capture high-definition images in real-time using webcam, sound, and annotation. Apart from that, it is equipped with built-in video players to let you play formatted files to make sure that conversions are done correctly.